Enjoy the benefits of a new electrical control system engineered to precisely fit your presses. 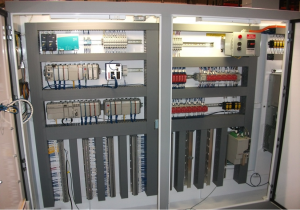 Enprotech Industrial Technologies offers complete, in-house concept to commissioning electrical controls solutions. Designs are drawn and provided in an intuitive, easily understood format. Seamless integration of hardware and software allows us to reduce costs and improve delivery. 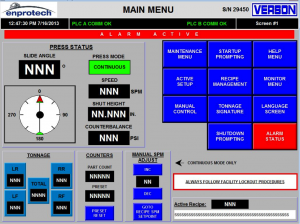 Standard HMI and PLC designs are used for easy navigation, yet custom configured for your application. Features include recipe management, lube control and monitoring, help screens, fault annunciation, PLS, automation and control. 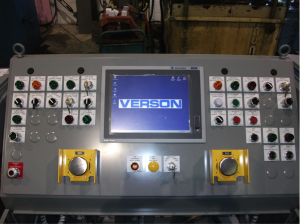 Programming solutions allow for easy integration to existing systems and access for maintenance and troubleshooting. 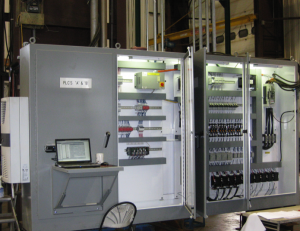 Let Enprotech’s team of engineers and electricians provide solutions that match your specific requirements. 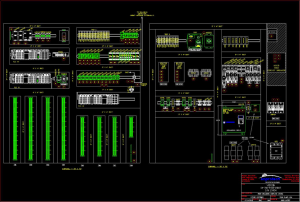 We work with you to design an easy-to-use product that matches your needs and interfaces with your existing equipment. Systems are assembled at our facility using benchmarked industry techniques. Every panel is completely tested to assure trouble-free startups. 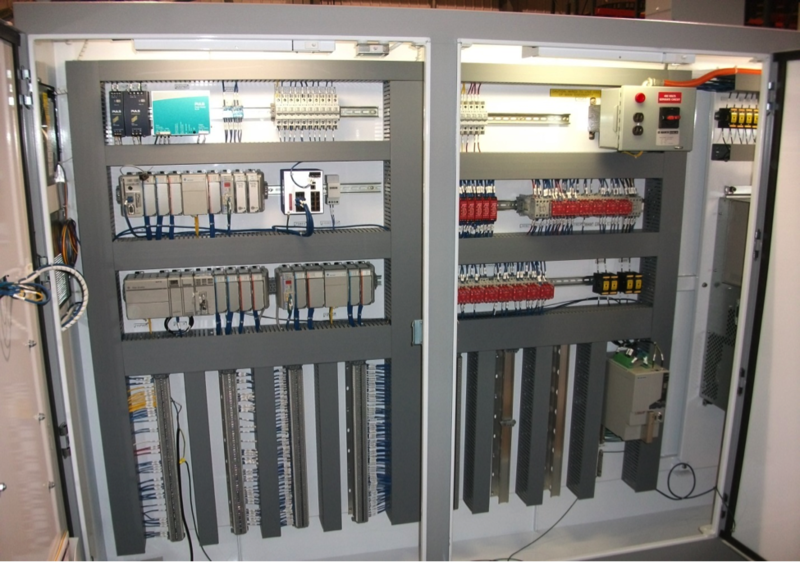 We can install your new controls at our facility or in your plant for fully turn-key solutions. Adhering to industry guidelines, our professional installations will be clean and accurate to provide years of trouble free service.